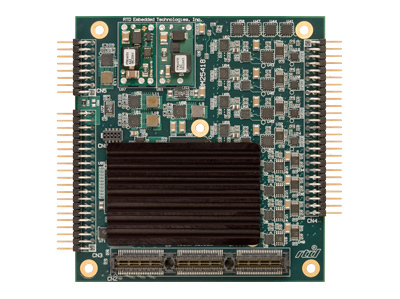 The DM35x18 dataModules are high speed 18-bit data acquisition modules in a PCIe/104 format. The DM35218 provides 4 differential or single-ended analog input channels with programmable gain and input ranges; the DM35418 provides 8 channels. Each module has simultaneous or independent sampling rates up to 1.5 MHz. The DM35418 and DM35218 also provide 8 or 4 individually controlled analog outputs, and multiple board synchronization with the SyncBus. The DM35218HR-F750 features a 7-pole elliptic low pass anti-aliasing filter on both the input channels (-3dB @ 750 kHz) and output channels (-3dB @ 400 kHz). 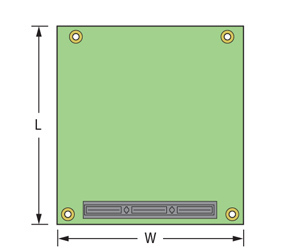 The low pass filters provide excellent noise attenuation to frequencies above 750 KHz for the input channels and 400 KHz for the output channels.